Whispers in the Loggia: The Curia's "First Lady"
...and those who hadn't before have good reason to get up to speed. 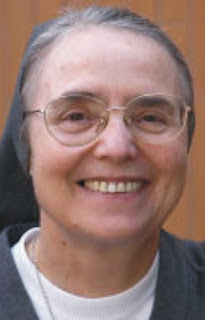 In 2004, John Paul II broke reams of Vatican precedent by naming Suor Enrica -- an Italian Salesian with an academic background in sociology -- as the #3 official of the Roman dicastery overseeing all matters pertaining to the world's religious communities and professed men and women. While widely acclaimed in the global church, the first-ever appointment of a woman (and, for that matter, any non-ordained person) to hold "superior" rank in a top-level Vatican office was met with some resistance among the Curia's old guard. Shortly thereafter, amid complaints citing canon law's stipulation that a nonordained person couldn't exercise jurisdiction over clerics, a priest was named to serve alongside Rosanna as co-undersecretary of the Congregation for Institutes of Consecrated Life and Societies of Apostolic Life. Last March, however, Benedict XVI shuttled the sister's priest-collaborator to a diocese of his own. More significantly, the Pope did not name a replacement for the cleric. In a new pontificate, the move served to definitively settle the question over Rosanna's supervisory status in her favor, and was soon followed by an announcement from the Cardinal-Secretary of State (himself a Salesian, of course) that plans are in the works to bring more women, professed and lay, into the upper echelons of the church's central administration. While Benedict's keen record of affirming and relying on the exponents of the "feminine genius" he keeps around him is no secret (at least not to anyone here), the unlikely trailblazer doesn't give many interviews on the work she's termed "this obedience." However, Suor Enrica recently broke her low profile to record a chat with Salt + Light Television's Fr Thomas Rosica. Conducted in Italian, the conversation's webstream is up (with subtitles). Watch. Money quote, on the declining numbers and attendant prophecies of doom: "The apostles were only 12, but they conquered the world. And I don't believe the apostles had fewer difficulties than we have today.... Perhaps we lack in faith. The Lord told us that if we had the faith of a mustard seed we could move mountains. And we haven't moved, at least to my knowledge, we haven't moved that mountain [yet]." Again, you don't want to miss this.